Now at Sharper Edge Engines we can help you to get the right part you need. We have a large network of reliable distributors and salvage yards. With your used engine we offer you up to a 3-year warranty. 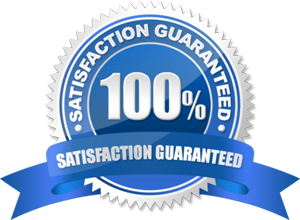 We are only interested in your having the confidence that you have made the best choice and are getting exactly what you need with the least amount of difficulty on your part. You will find that you don’t even have to negotiate with us. You will get the very best price that you could find anywhere.If you are searching for a good low mileage rebuilt or Used Audi Engine allow us to assist you in your search. With low overhead our friendly family run business will do our at most to make the best out of a bad situation. Your engine is shipped to you free. You don’t have to arrange for shipping. The inventory we use includes surplus and overstocked used engines – the exact one you need for your vehicle – including gasoline and diesel.The part that we send you will most likely be salvaged from a vehicle that has been involved in an accident, but the part that we are using is in excellent condition and can be provided to you for a very low price.What we offer you in price and mileage is better than you will find anywhere else. We are happy to work with you and you will be aware of that fact with every contact you have with us.We treat our customers well and they reward us with coming back to us whenever they need the services we provide – with any future vehicle. They also tell their friends, their garage or repair shop. And repeat business is what lets us know that our customers are satisfied with what we do for them. We will work with you to find the price and mileage that makes sense for you. We pride ourselves in eliminating sales gimmicks and treating you the way we ourselves would like to be treated. Allow us to earn your business. We can quickly locate what you need from our suppliers, so you don’t have to buy a new part – easily costing you twice the amount we can provide your engine for. By calling us, you are saving yourself time, worry, numerous phone calls and the possibility of not getting what you really need.You will notice the pride we have in what we do – and in the quality that we are able to send you with your used AUDI engine, transmission or transfer case. We can also provide you with rebuilt and remanufactured parts. Here at Sharper Edge Engines we take pride in shipping remanufactured and used Audi Engine and Transmissions and transfer cases to our customers.When you buy your used AUDI engine from us, we will have you back in operation and a minimal cost – a fraction of what you can find anywhere else. And when you buy your used engine here, that means thousands of dollars not spent on a new AUDI engine. With our reliable suppliers - dealers, auto recyclers, and dismantlers that we use every day and trust – you can be assured of having an engine or transmission free from operation failure. Much of our business is predicated on reorders of both used and Rebuilt Audi Engines and Transmissions. We want to be your number 1 source for Audi Used Engine or Audi remand Engines and Transmissions and Transfer cases.We provide you with all the information you may need on your used AUDI engine – history of the vehicle, service records, and accurate mileage. The rebuilt AUDI engine that you receive from us will be sent at a cost well below what you can find with a new engine. Our engines are completely overhauled. In fact, you will believe that we have sent you a new engine. We reassemble and thoroughly inspect every AUDI engine that we send as rebuilt, then clean it and reassemble it.New parts are installed or existing parts re-machined so that during this process your engine is like new and meets all OEM standards. And to further gain your confidence, your purchase is covered by a good warranty from Sharper Edge Engines llc . The excellent service you receive from us at Sharper Edge Engines Llc would not be complete without customer service of the highest quality. You are treated with respect, timeliness, all the help you need at every step of the way. 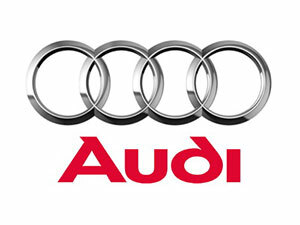 So, in addition to a high quality used, rebuilt or remanufactured AUDI engine, you are given a feeling of confidence. You will recognize expertise, and we will make the entire process easy for you. 1) Call us toll-free at Sharper Edge Engines Llc and be greeted by one of our engine professionals. 2) Provide for us the VIN number of the vehicle you have to buy the part for . 3) Receive the quote for the AUDI engine with the right mileage you have been looking for after we search the database of our suppliers network. All of this goes towards your saving money. When you call us, we begin immediately to locate the Part that you need, as we search our available stock. You will be provided your rebuilt AUDI engine within the price range that you require. We will provide you with the exact product that you need when we use our network of dealers and shops throughout the country and will provide it to you at the lowest possible cost. So, let us locate the used AUDI engine that you need at our company – Sharper Edge Engines Llc . Here you will find good quality, low mileage, the right application and will save yourself the headache and expense of looking elsewhere and regretting it. Ours is a family owned and operated company, so our overhead is the lowest. You need to get back on the road fast and we can help you do just that. When you have gone through these steps, you may be ready then to make your purchase. Or you may exercise your option to spend a little time shopping around at local auto parts businesses or shops. After you do that, we are sure that you will realize that we can provide the highest quality and lowest price for you here at Sharper Edge Engines Llc . What we’re interested in is that you are receiving the best quality AUDI engine and for you to be confident that you have made the best choice. We are here to help you get your vehicle back in operation. We want to save you every possible trouble and to save you thousands of dollars. Call us for your free quote. There is never any pressure with our company. You will enjoy the whole process.